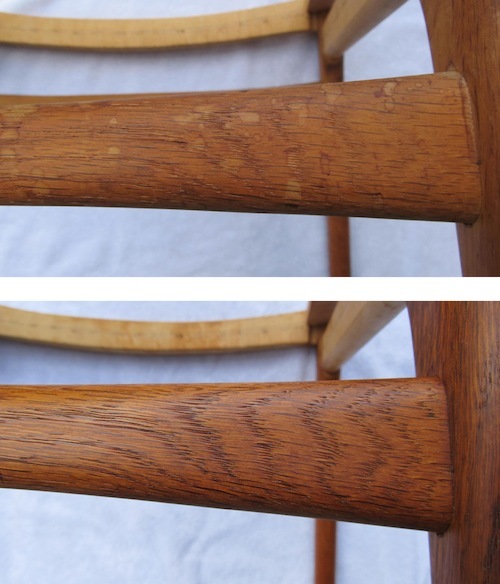 I’ve been asked many times how to clean and oil teak furniture. Time for a post dedicated to just that! 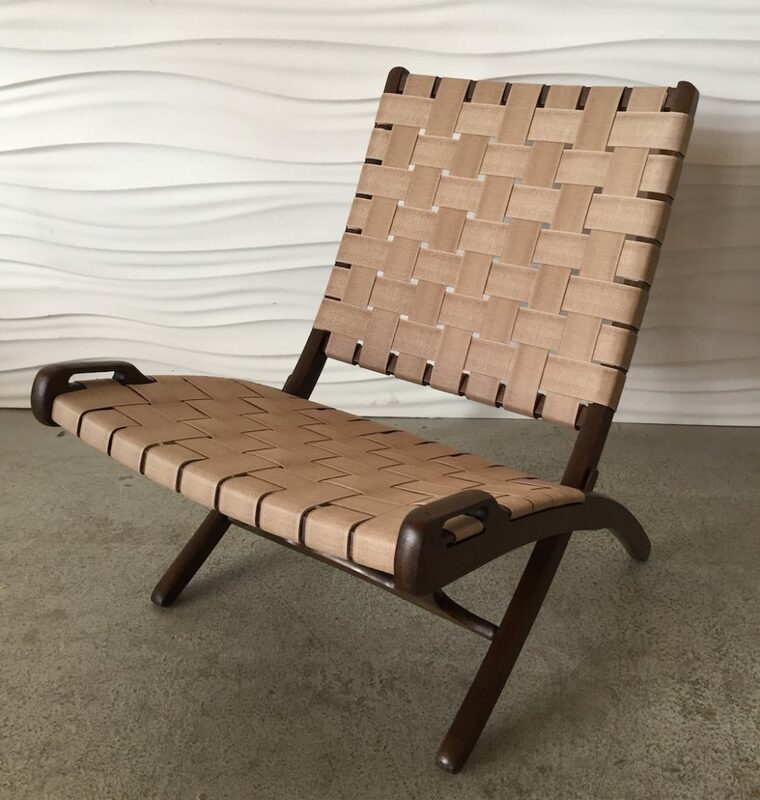 Maybe you own a teak chair that needs work or maybe you saw one on Craigslist or in a thrift store that looked too far gone to bother with. 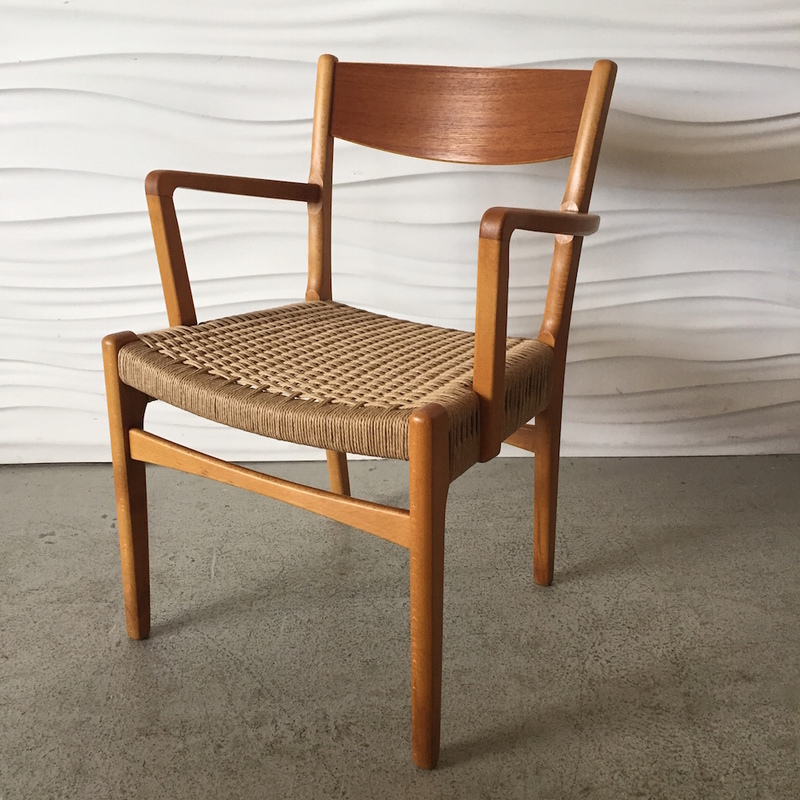 The good news is that a lot of teak is finished with just oil and oil is one of the easiest finishes to restore and maintain. 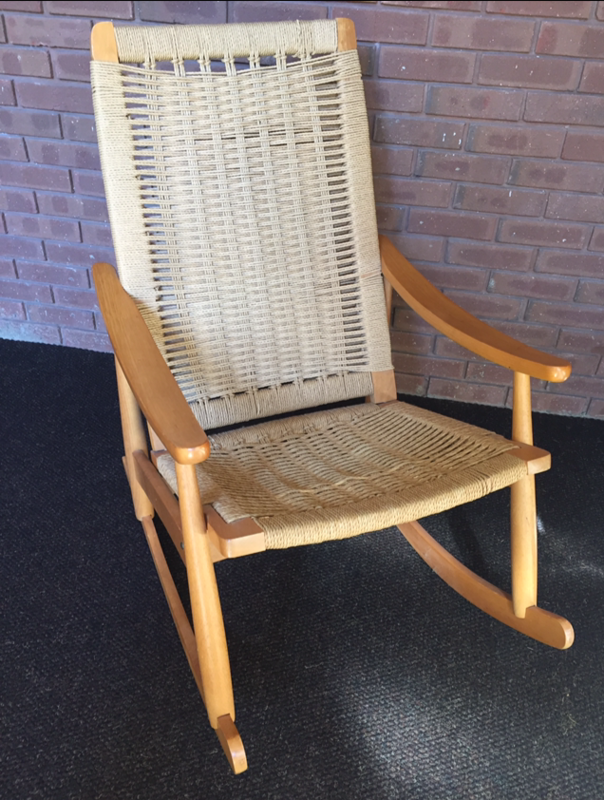 The photos above are of the of the same Wegner CH23 chair. 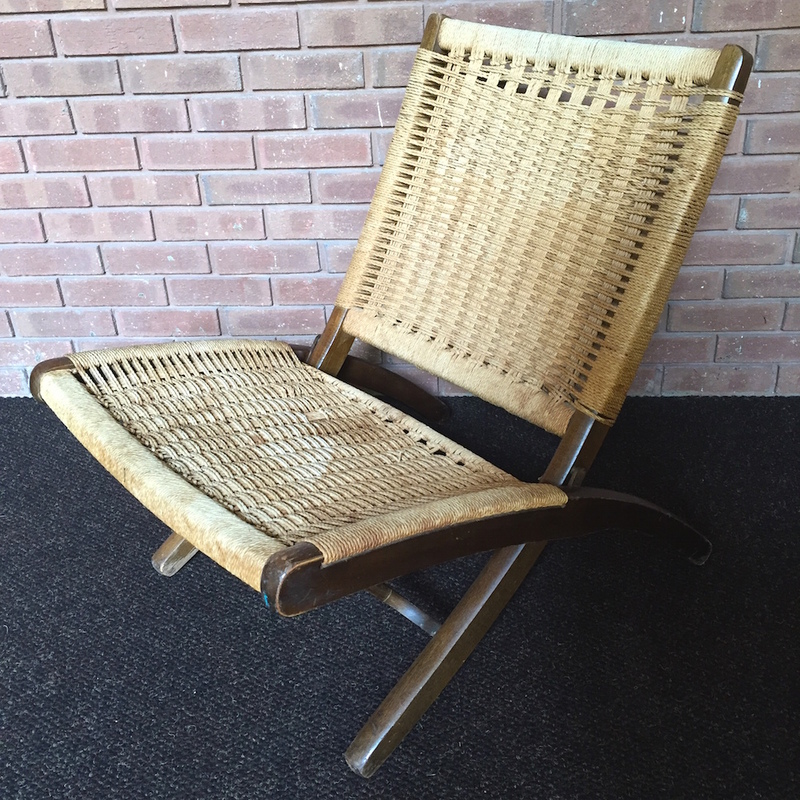 All I did was to go over the chair with #0000 steel wool and a generous amount of teak oil. 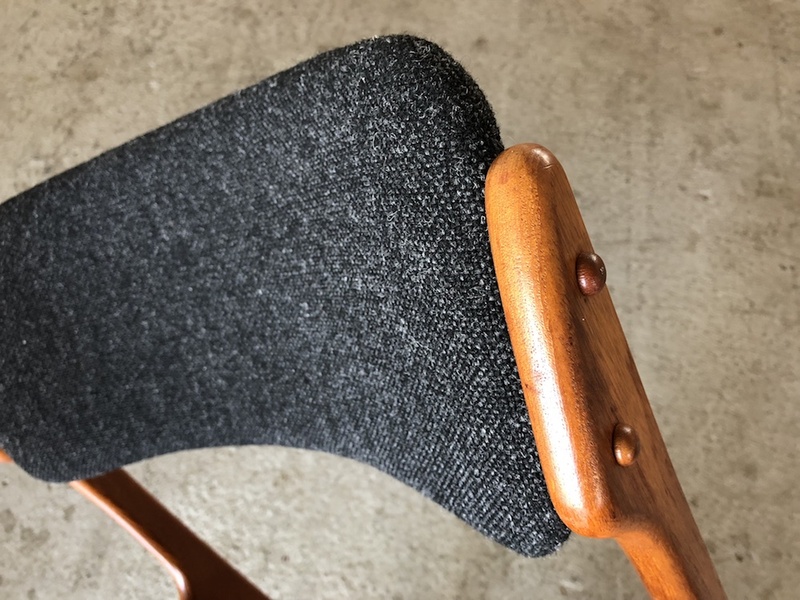 The steel wool cuts through the grime and the oil helps loosen dirt and also lubricates the steel wool so that it doesn’t leave any scratches on the wood. Usually a few passes with the steel wool are all you need, then let the oil soak in for 5-10 minutes. Then simply wipe it off with clean rags or paper towels. This is the brand of oil I use. It doesn’t have any varnish in it, which makes it especially easy to use. It also doesn’t have much of a solvent odor though if you’re sensitive to such things you might want to use it outdoors or with a respirator. Get some rubber gloves, too. I use disposable ones and put two on my dominant hand. The lack of added varnish means the finish is less protective. 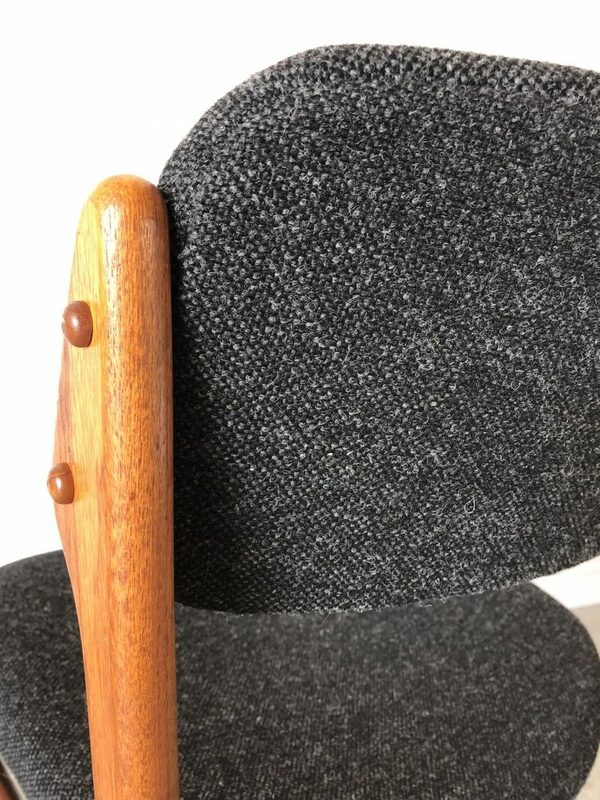 This is not an issue with chairs, which are mostly what I do; for a tabletop, especially a dining table, you might want to use something like Watco Danish Oil which does contain varnish. The application process for that is a little different. 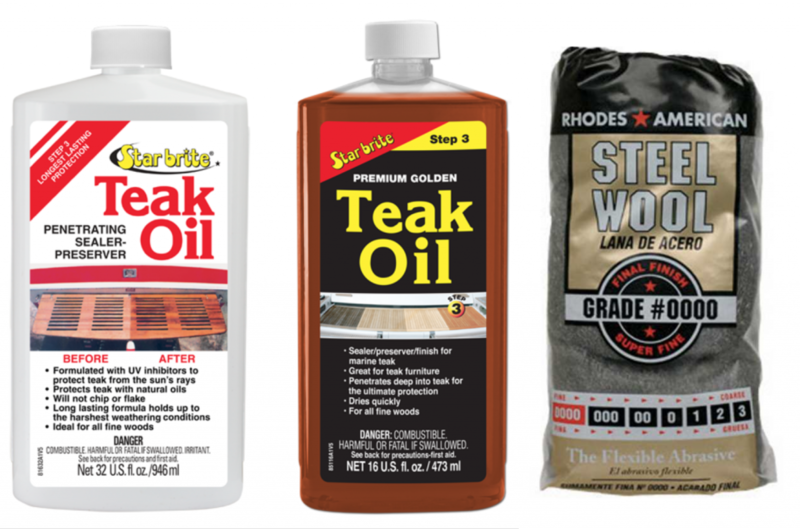 Ace Hardware stores in the US carry Star-Brite oil and you can get #0000 steel wool in any hardware or paint store. I do not recommend anything coarser than #0000 as you might end up leaving marks in the wood. I use the teak oil in the white bottle. I think the only difference is that the stuff in the black label has some color added to it, which so far I’ve never needed for anything. Another tip: do NOT remove the paper seal on top of the bottle under the cap! Just poke a small hole in it, like toothpick-sized. Once you get going on a project, the outside of the bottle can get very slippery and I can pretty much guarantee that you’ll lose your grip on it or just knock it over accidentally at some point. A small hole will prevent a gusher of a spill. 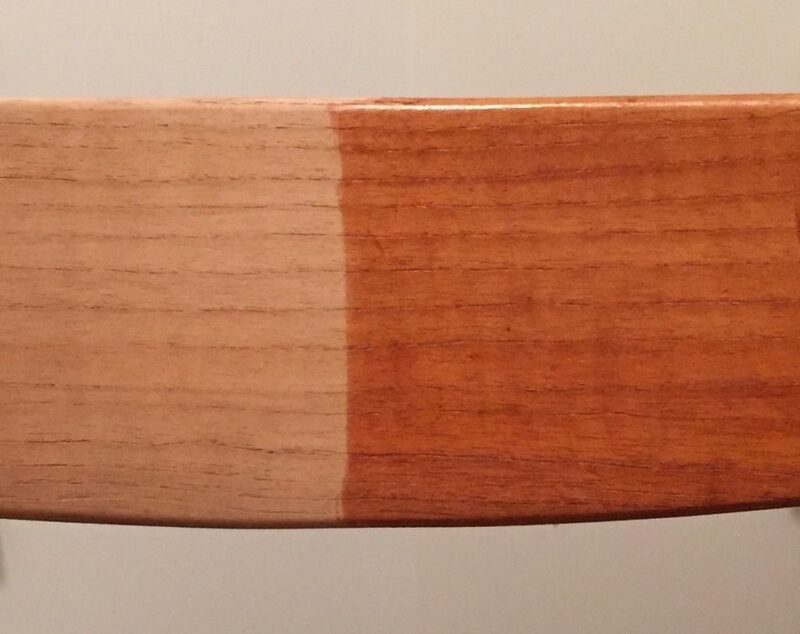 Even for wood that looks ok, oiling can make a noticeable difference. 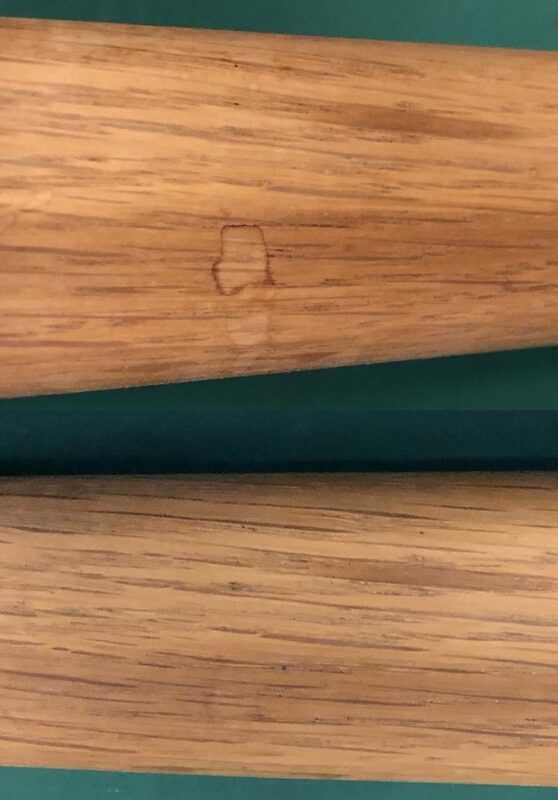 This chair leg wasn’t particularly dirty, just a bit dull. Oiling brightened it and gave it a lovely soft sheen. I don’t know what happened to this chair above–looked like something had poured over the back and leeched out the color and oil! 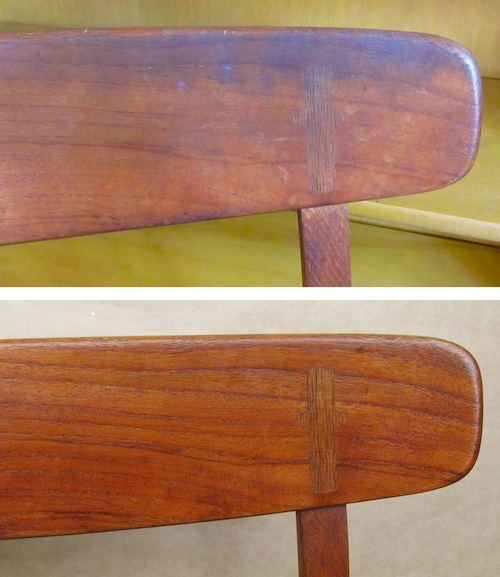 I’d never seen fading like that and I kind of assumed it would need sanding or added color somehow, or at the very least multiple coats of oil. Turns out all it needed was the usual one coat of oil, applied with maybe slightly more vigorous steel wooling. I was amazed. 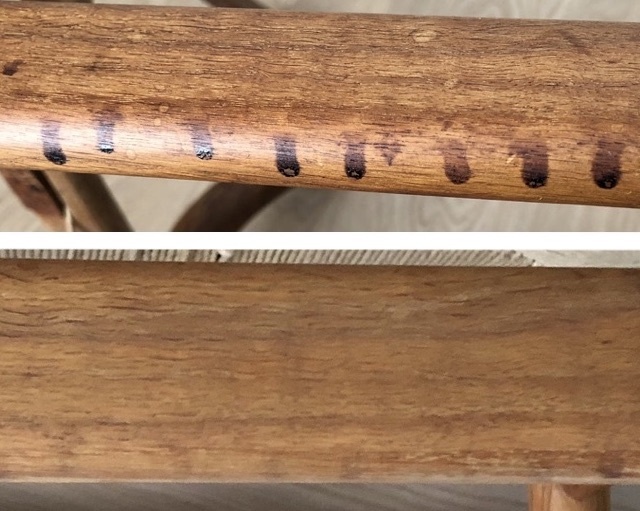 Water spots like in the top half of the photo above are very common and usually disappear with oiling, or at least can be made nearly unnoticeable. You may have to take more time with the steel wool but it’s still preferable to sanding. Sanding removes top cells of the wood and that’s where all the deeper color of age is. Once in awhile you’ll come across some teak that was lacquered, varnished or even shellacked at some point in its life. 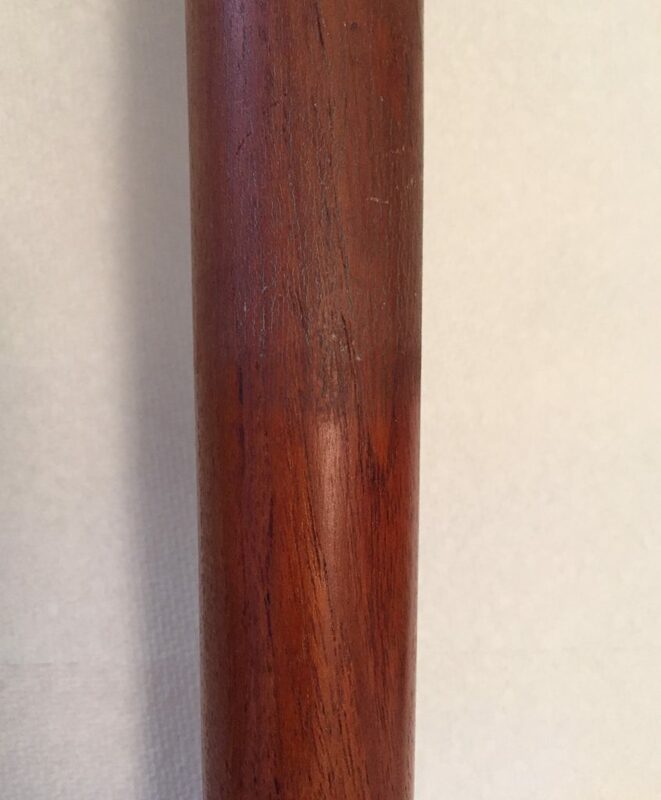 Some teak was lacquered by the manufacturer; I guess to give it a higher sheen…? The problem with lacquer is that it chips off rather than wearing down evenly as varnish does. If you oil something that has chipped lacquer, you’ll notice that it gets darker where the lacquer had chipped off but there’s no color deepening on the rest of it. I just strip the lacquer off if this is the case. 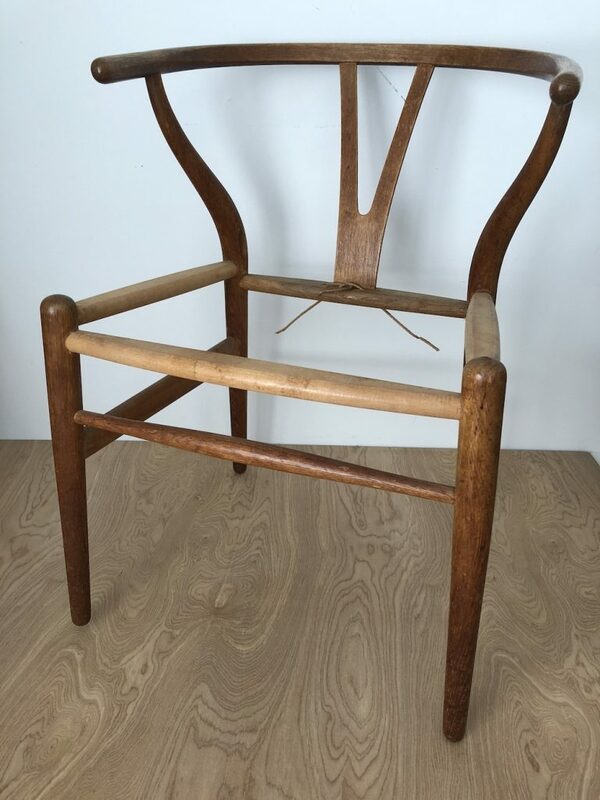 I’ve also come across a few chairs that had been varnished by a homeowner years ago; same with some shellacked ones. 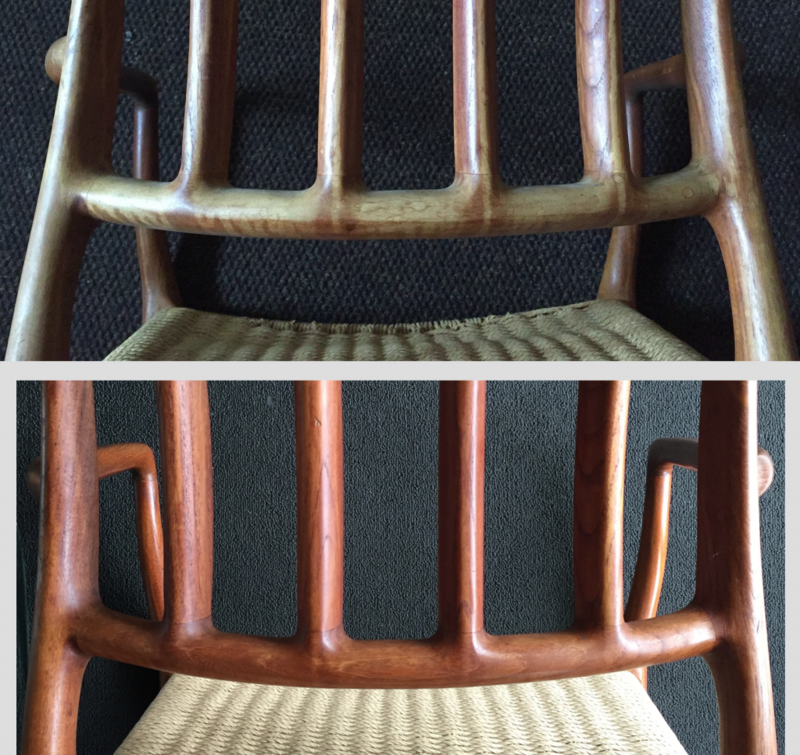 Refinishing is a whole other post. 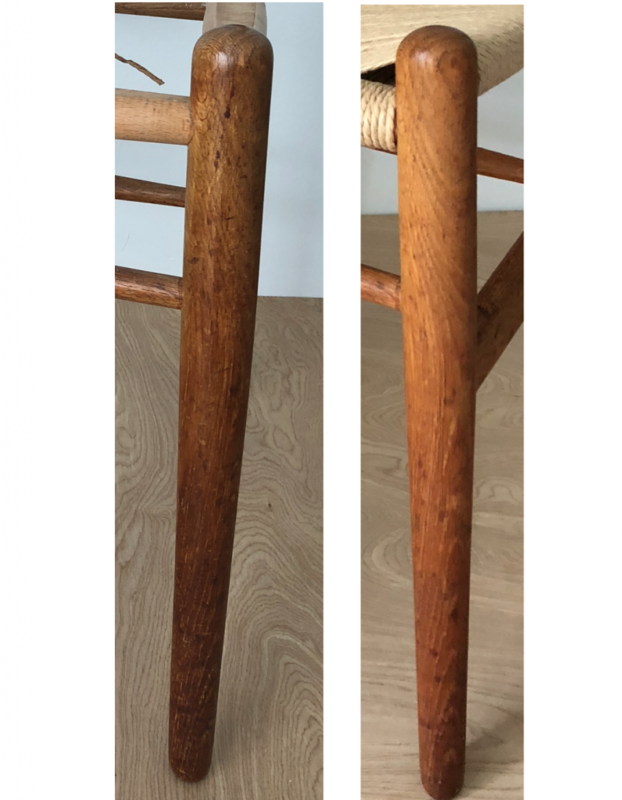 I just want to say here that for teak that is seriously dry, like in the photo above (after chemical stripping, which is very drying) you might think there’s no hope. I mean, we’re talking Sahara Desert dry. But you can see the amazing transformation with oil. You will probably need 2 coats and maybe even 3 over the space of a week, but it’s still a very doable fix. 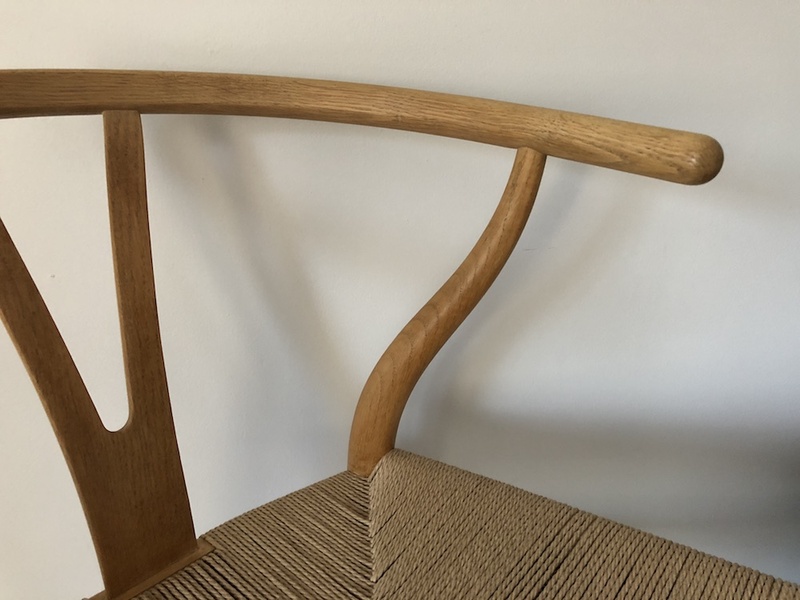 This is one of a group of eight or ten older Hans Wegner wishbones that I did over several years for one family. I love this blue! It’s so Danish. The new cord looks especially crisp with the blue. 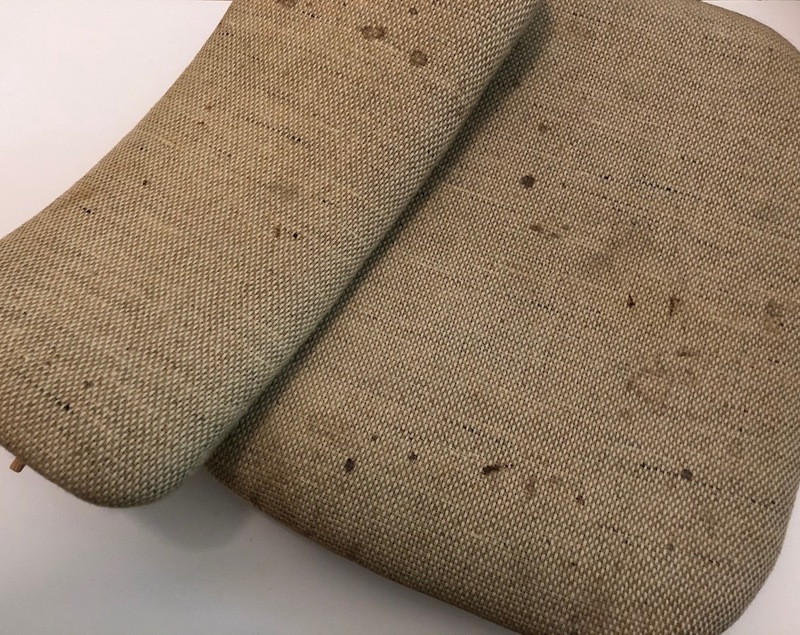 Most of the chairs were oak with an oil finish that had the usual issues that come with use and age: water spots, a few food stains here and there—nothing serious, just stuff that needed to be cleaned up. 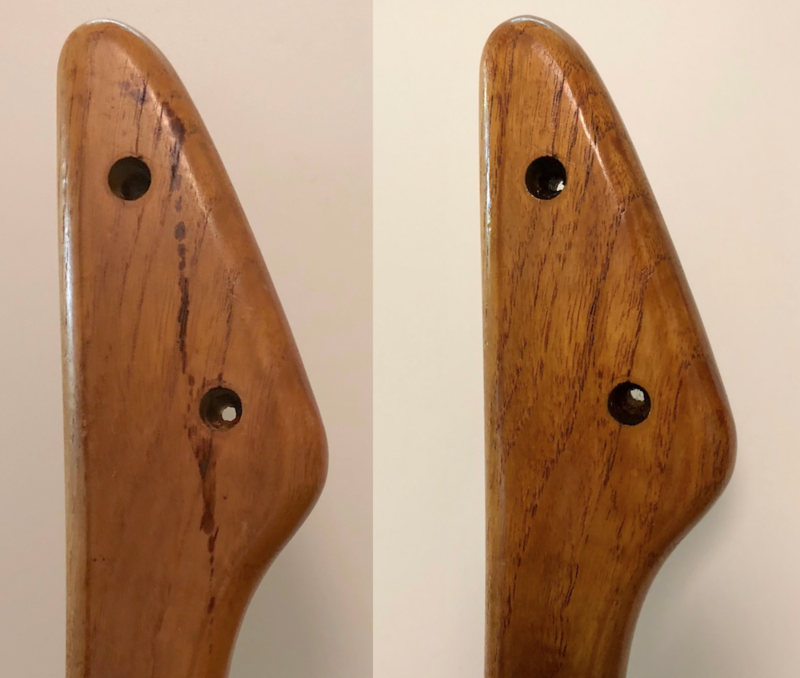 A once-over with #0000 steel wool and teak oil not only removes most minor stains but also brightens the wood a bit and shows off the grain better. 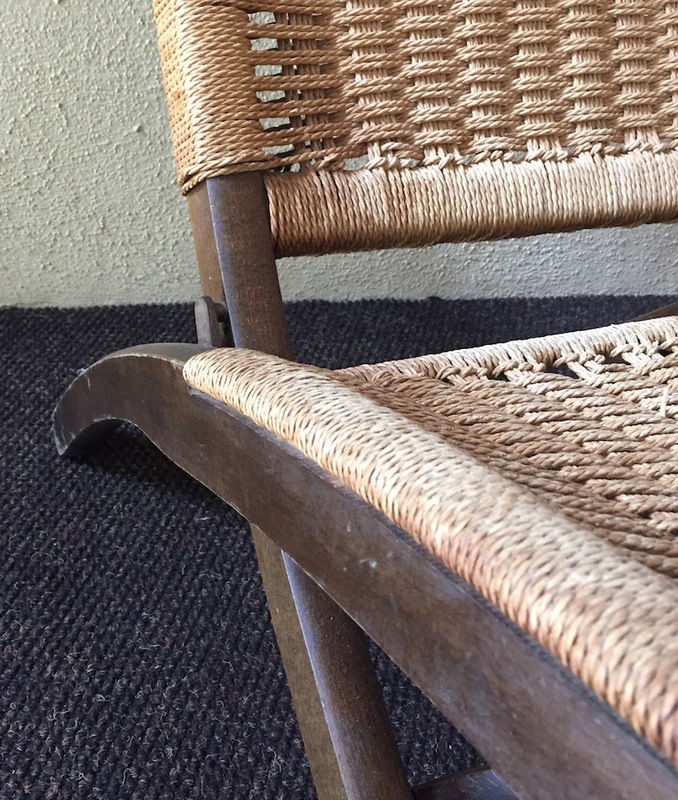 You can also remove most paint scuffs that happen when the chair is scraped against a wall or doorway–no need to resort to harsh Goof-Off and similar products. There’s a certain kind of stain that I see a lot, shown in the top half of this photo. I suspect it’s from a drink that has sugar, probably nothing more than juice, wine or soda. I imagine it’s easy to miss when it happens but eventually it turns dark like this. 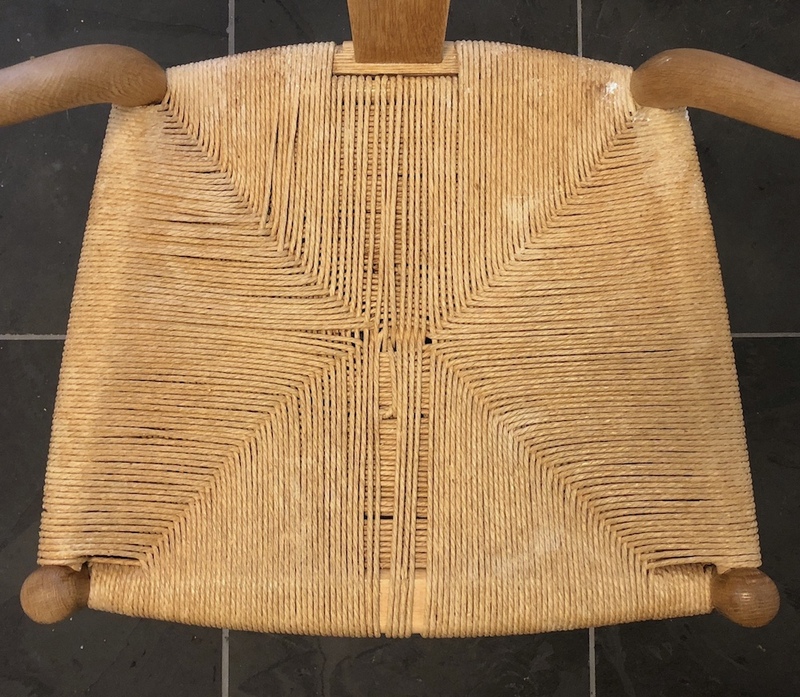 I don’t usually get so many Yugoslavian chairs at once to reweave and this second rocker so soon after the last one kind of got me thinking about other approaches. 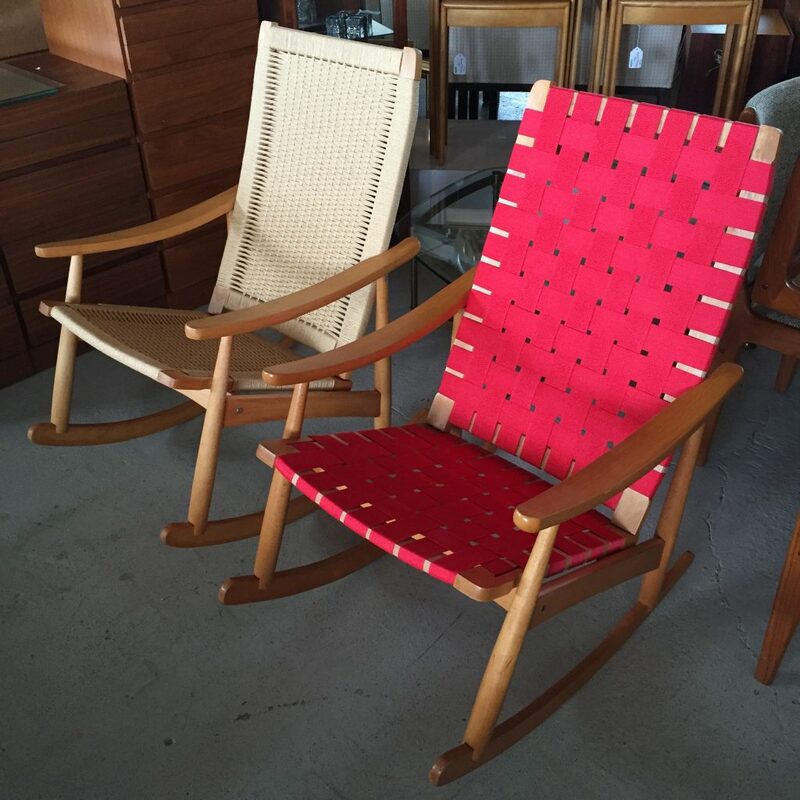 I know that these are often compared to Hans Wegner’s rocking chairs but they’re really not very similar. I guess it’s just all the paper cord weaving on them that people focus on. 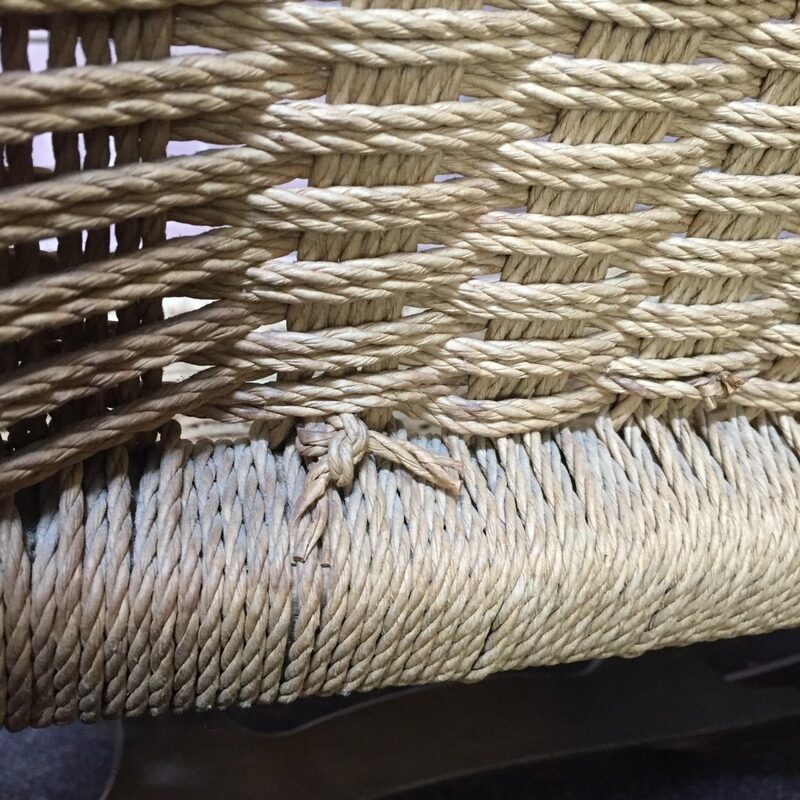 The weaving on this one wasn’t in as poor condition as many, but like most, it was loose and sagging. They were done this way originally, I think. I had an idea for something completely different. 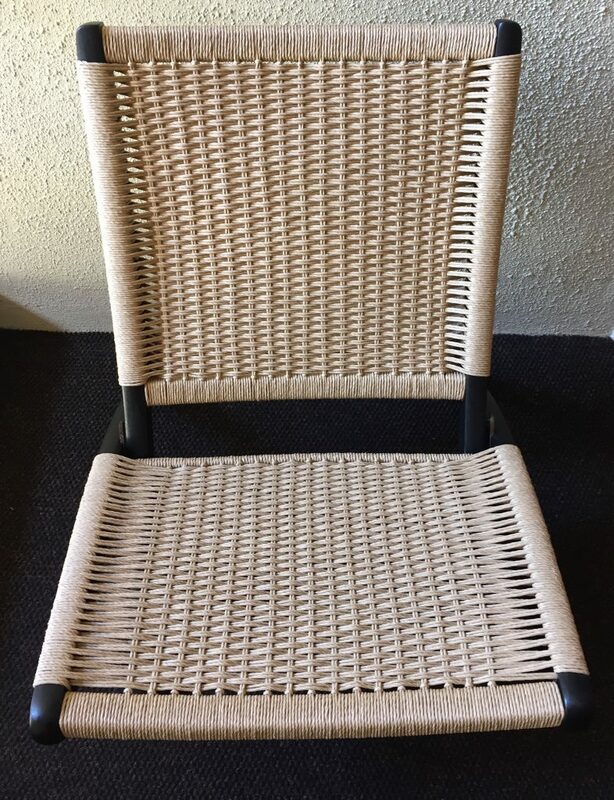 This is 2″ wide polypropylene webbing, very similar to the nylon webbing of Jens Risom chairs. I really like it with the beech frame! And, it’s just stapled on and is completely reversible. No alterations were made to the frame, other than sanding and finishing the parts that were covered with cord (originally unfinished and rough cut, since they didn’t show at all). If someone, someday, wants to redo it in paper cord, it can easily be done. I thought about using cotton webbing, but cotton is very hard to clean. (It’s fine if you can throw it in a washing machine–but that’s not exactly possible with this application!) 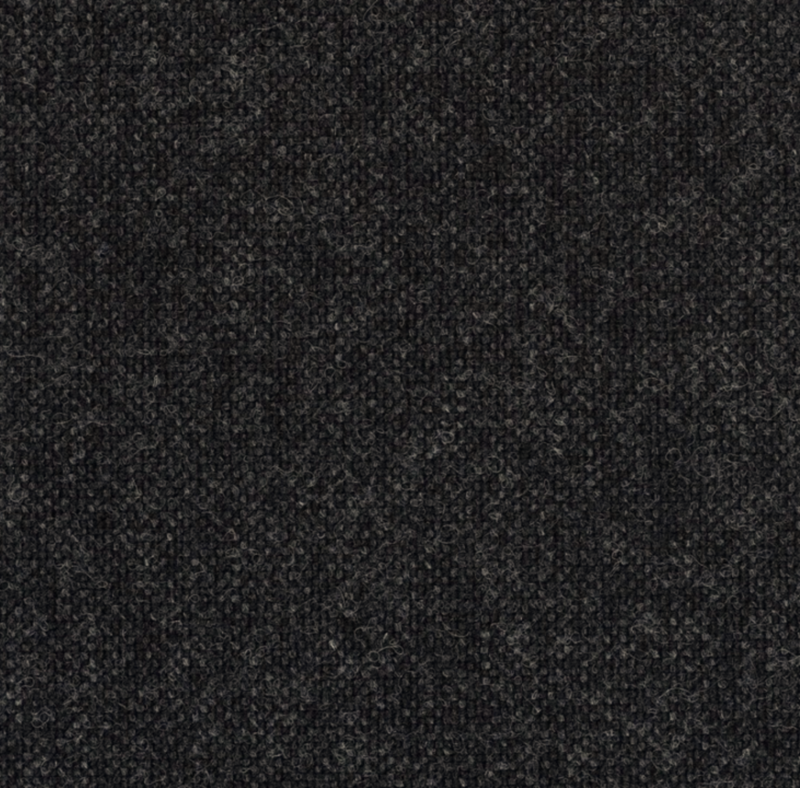 There’s also nylon webbing, which has a glossy sheen and would work well. 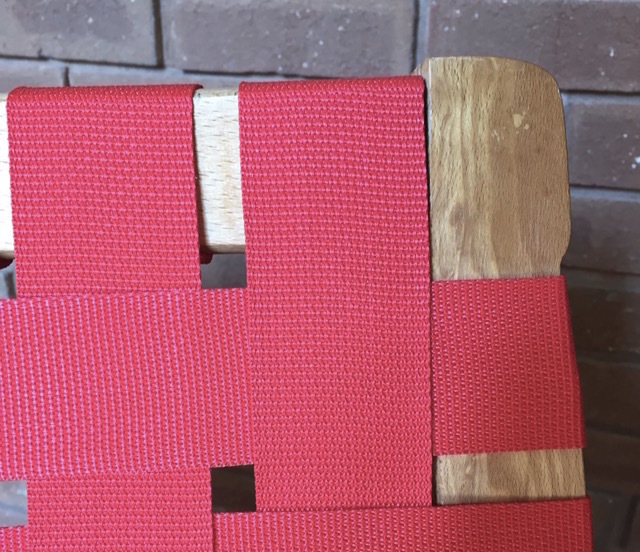 And there’s seat belt webbing, which would work well except that it looks like—well, seat belts. 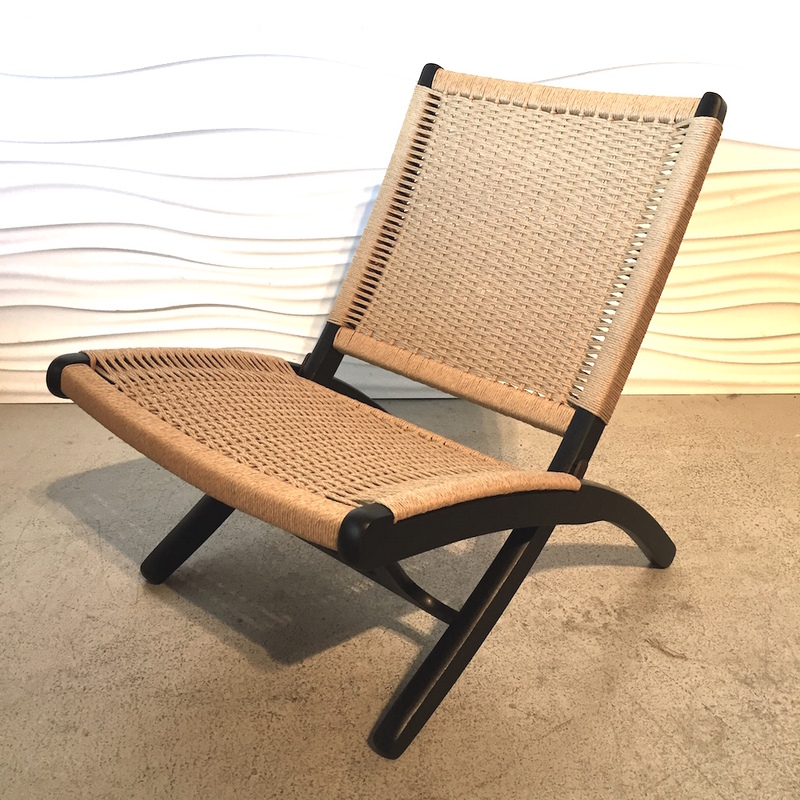 One of the things that’s nice about this chair is that it has that mid-century modern look but with a greater seat height than many, making it a good choice for people who have a hard time getting out of low chairs. The arms and high back make it perfect for feeding and rocking babies, too! I got this poor old thing awhile ago and kept putting off work on it because the frame needed refinishing. 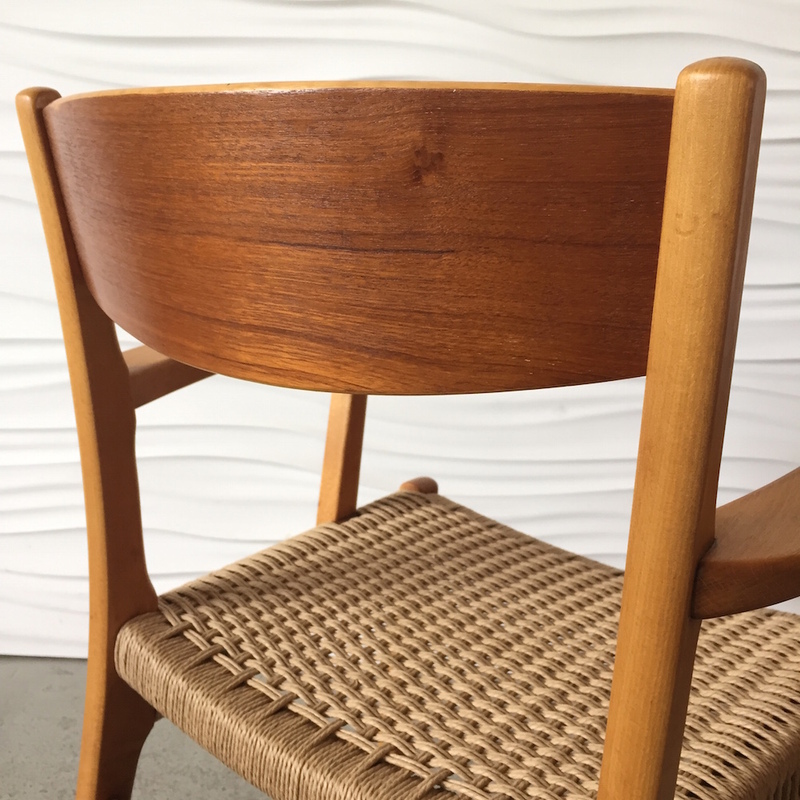 It’s beech with a stain and then clear lacquer on top—it’s supposed to look like walnut but of course once the finish gets a little worn it is obvious that it’s not. 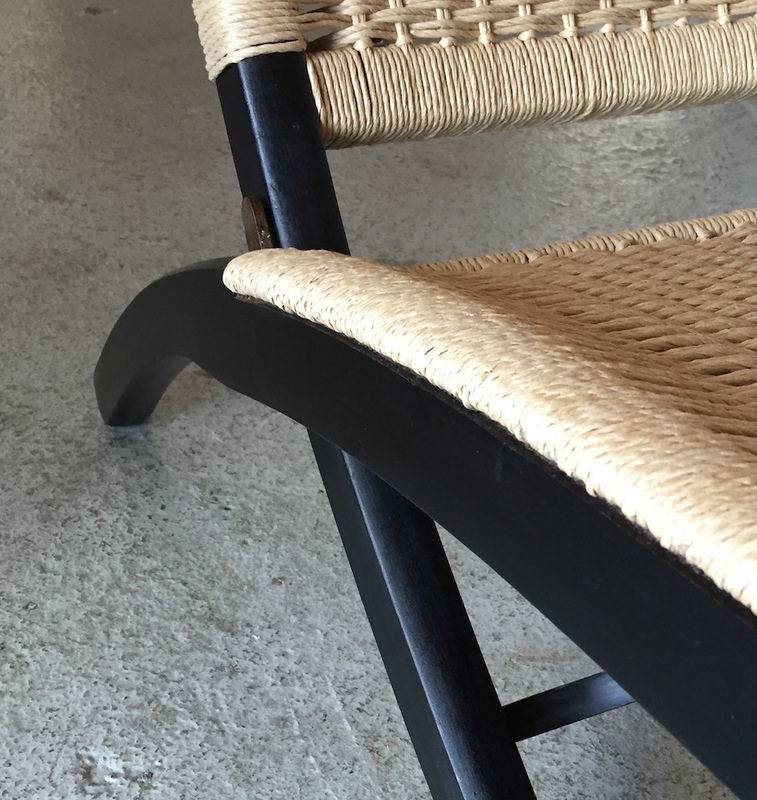 I chose to strip the lacquer and ebonize the chair with India ink, a process I’ve done on a number of other chairs. 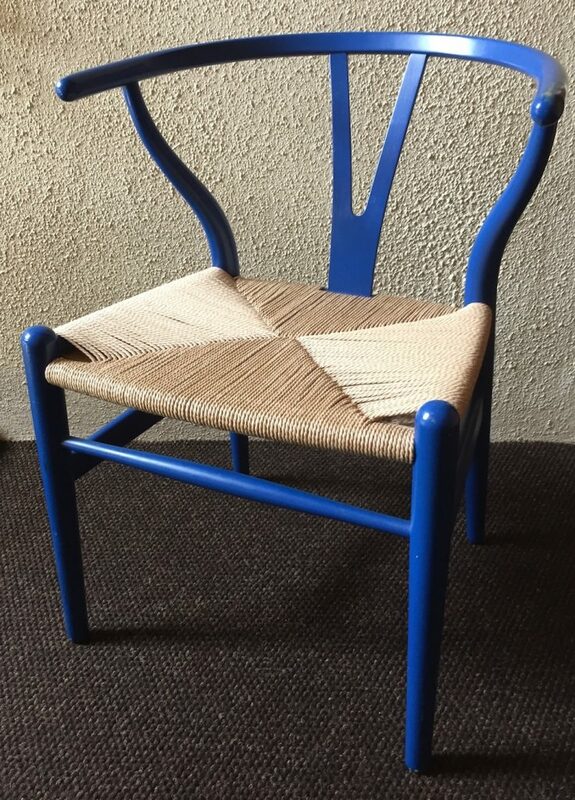 I think it looks especially good on these chairs and any dings can be easily touched up with a dab of ink! 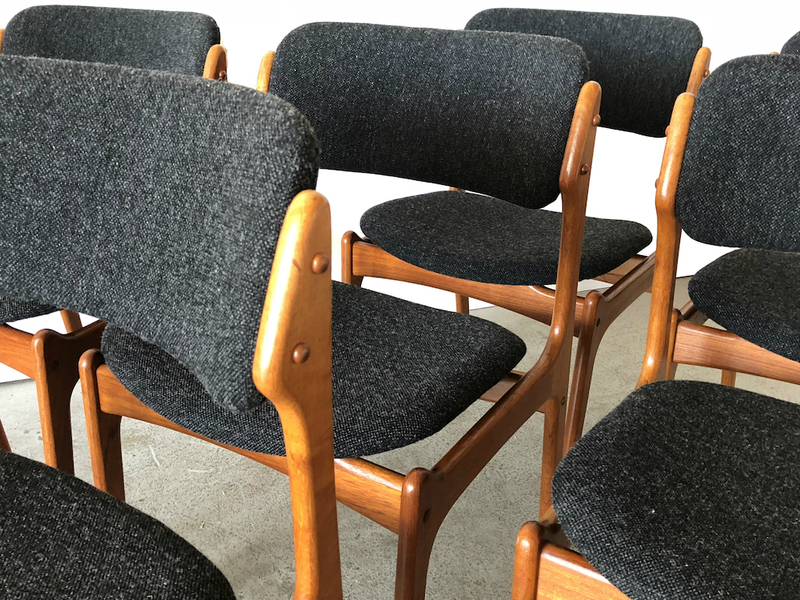 There are at least several different versions of these chairs, which were mostly made in Yugoslavia but you will see some marked Italy and Japan; they were inspired by Hans Wegner’s folding lounge chair. 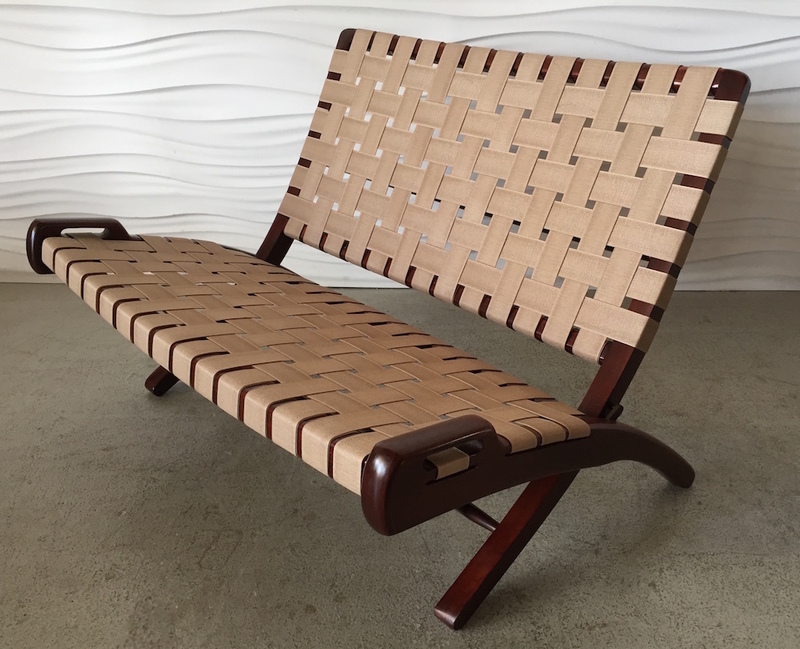 You might see one once in awhile being described as a Wegner original but that would be an incorrect attribution. I like this version without the handles on the sides. It looks so much more sleek. The paper cord didn’t have a lot of broken strands but it looked pretty awful nonetheless. 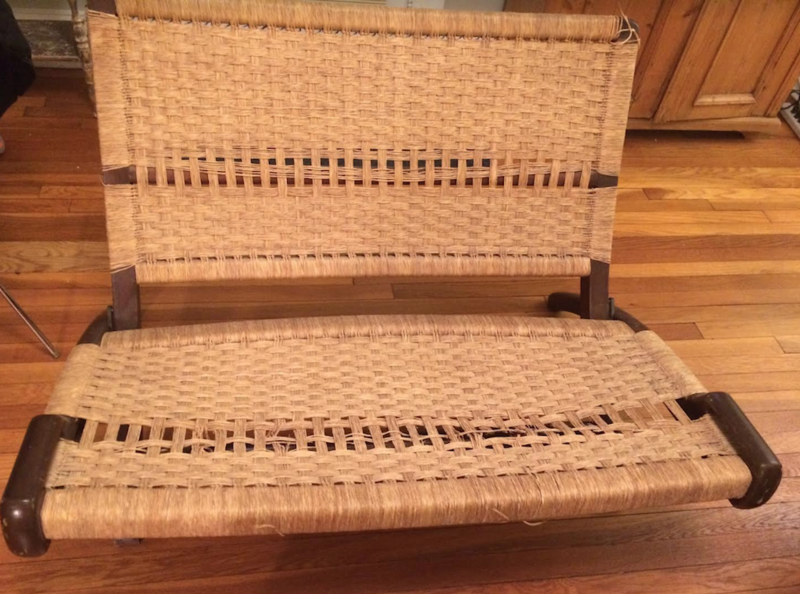 I also like that the seat is solid weaving—no gap towards the front the way more are done. 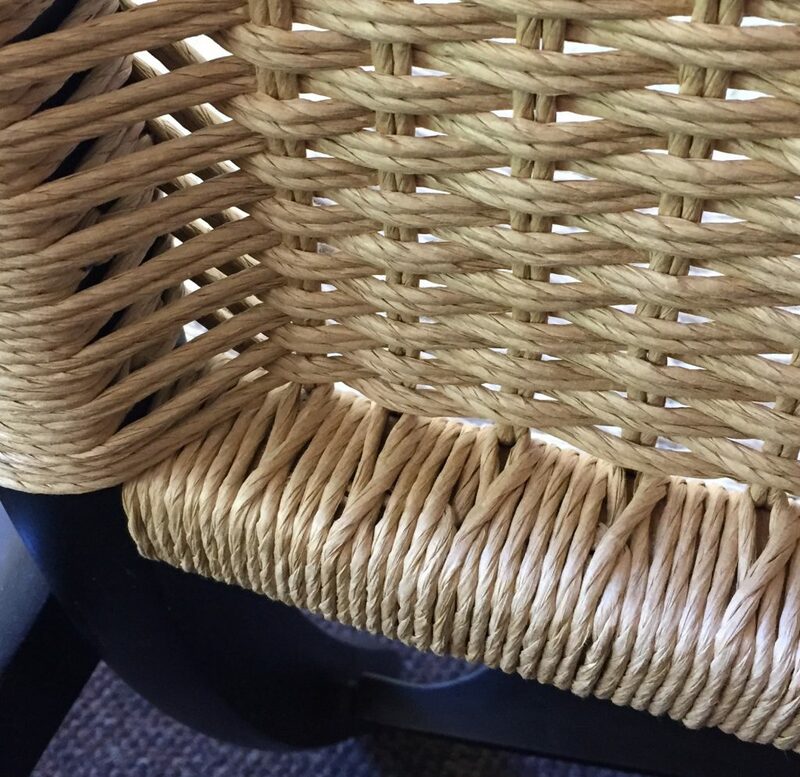 These chairs often have a lot of visible knots. 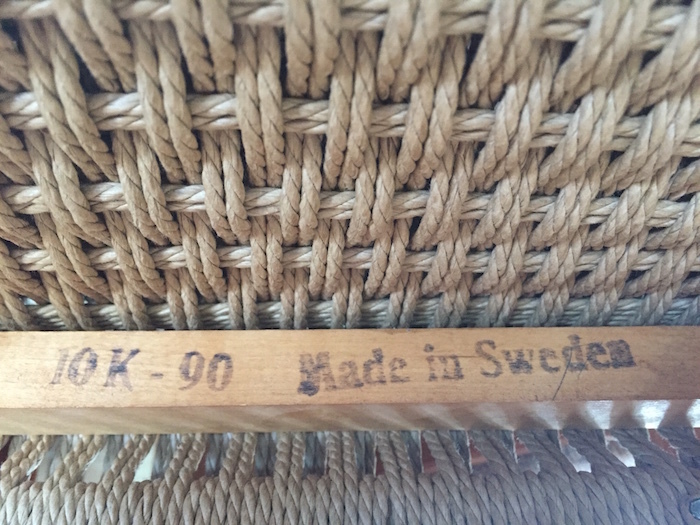 This was the only visible one on this chair, at the lower outside back. 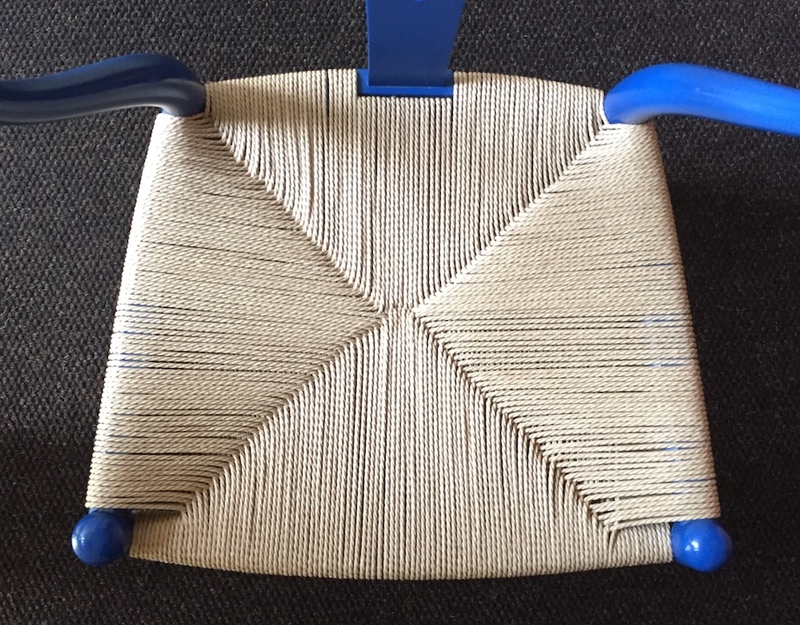 It takes a little more work—mostly math and measuring—to weave it without knots, but it can be done. There are two cord joins in the lower rail above. 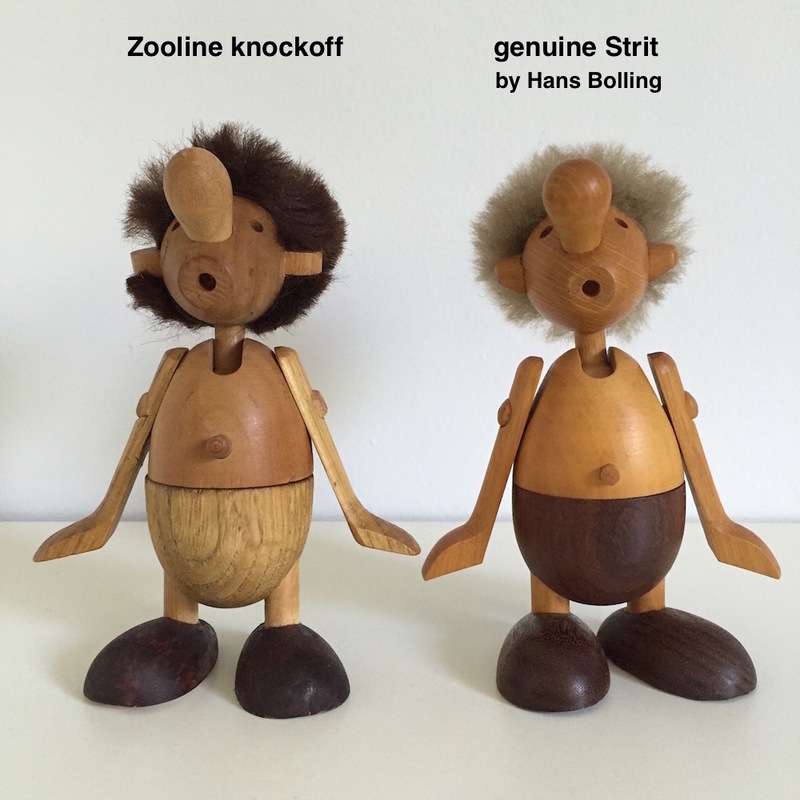 Awhile ago I bought what I thought might be a “Strit” figure by Hans Bølling, but I wondered about a few minor details that didn’t seem quite right. 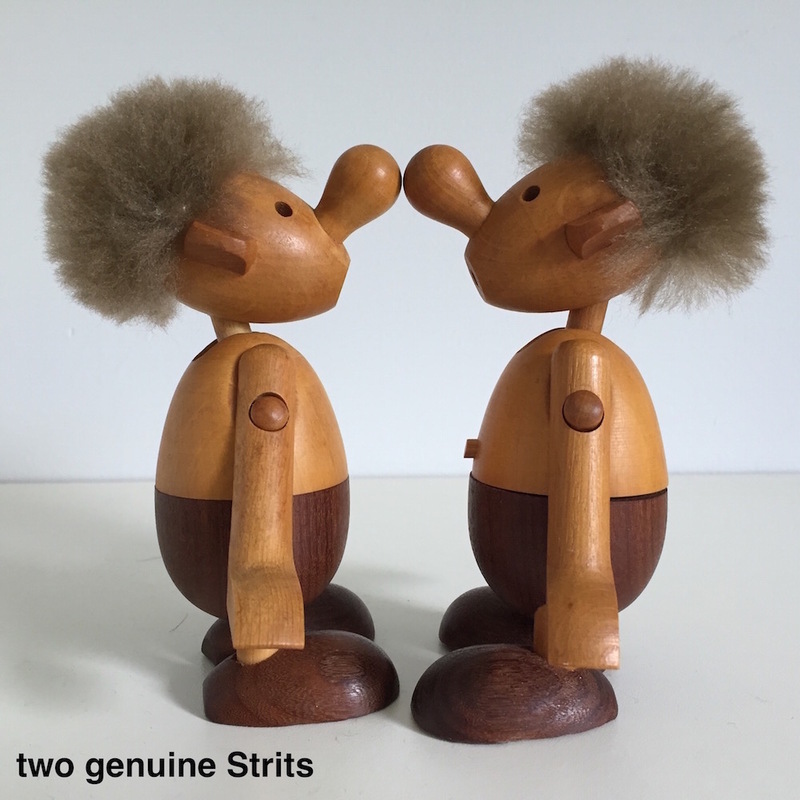 It was hard to find any information about these online, partly because the name Strit doesn’t seem to be well known. Some Zooline (Japan) figures have two buttons instead of a single bellybutton—maybe something they did to keep the design from being nearly identical? 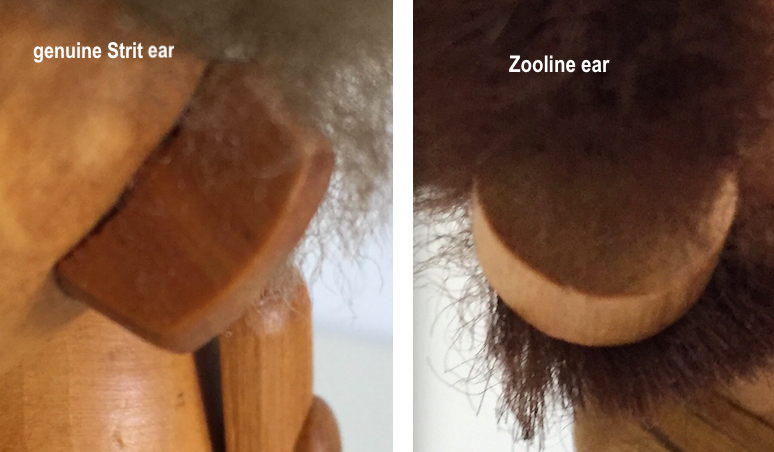 Obviously the bottom half of the torso on the Zooline figure is light oak compared to wenge (?) on the Strit, but I’ve seen some marked Strits with lighter lower torsos. The real Strit’s torso has a more elegant egg shape vs. the slightly longer torso on the other, which is also broader at the top end. The hands are thicker on the real one. You can see the difference in the ears here. 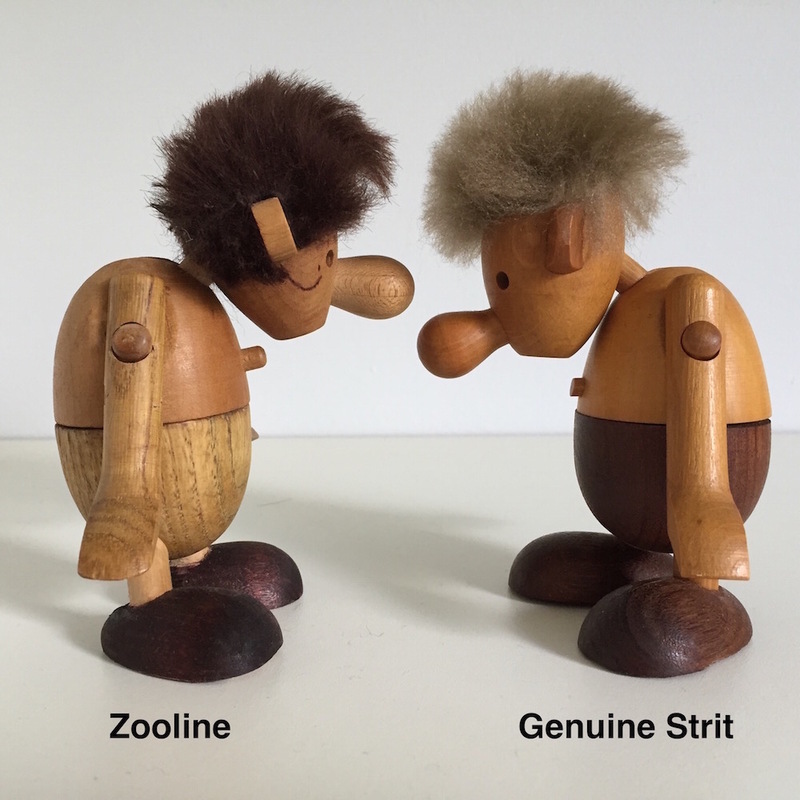 Zooline’s are the same thickness from outer edge to base while Strit’s are thinner at the outer edge. 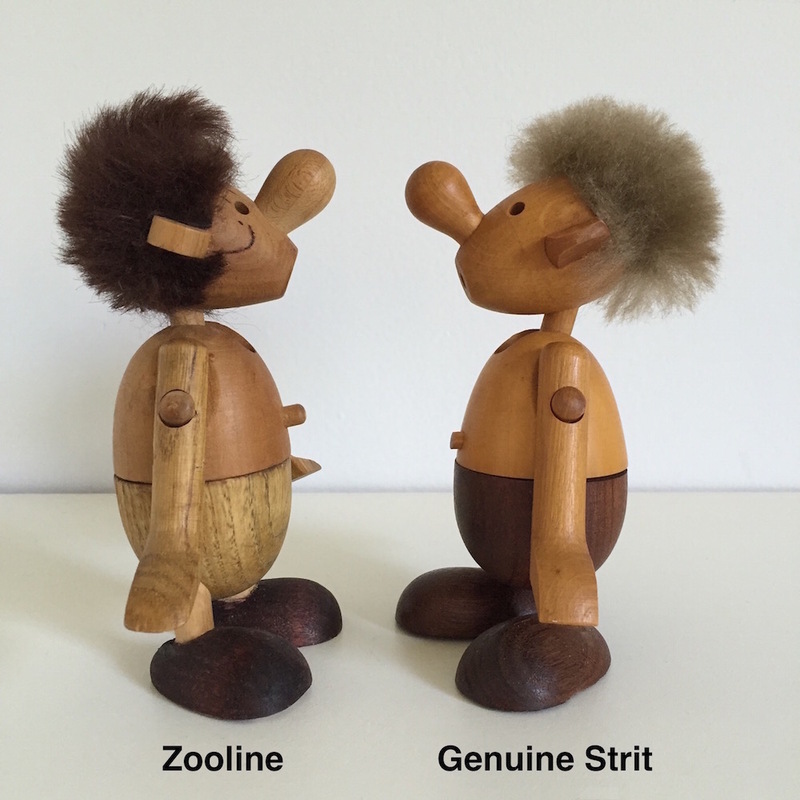 Real Strit’s ears are also squarish, while Zooline’s are round. The shape of the top end of the torsos is more obvious here. Also, real Strit’s head can sink lower than Zooline’s head. The difference in the bellybutton pegs is not significant. This peg is what holds the top half to the bottom half, an ingenious way to permit the figure to swivel at the waist. Sometimes it was tapped in flush and other times it was left protruding a bit. 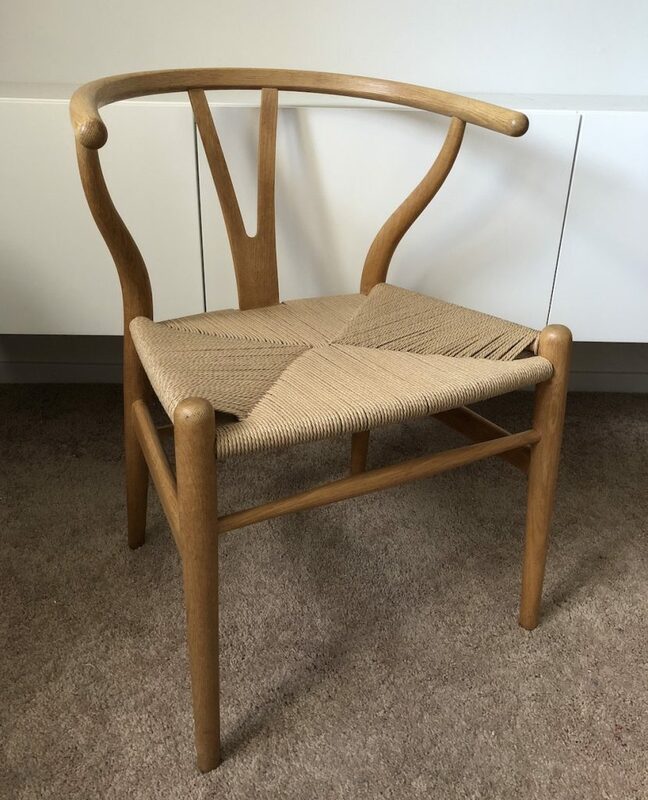 I got a set of six of these handsome Swedish chairs about four years ago and in all that time I never took a ‘before’ photo of them! 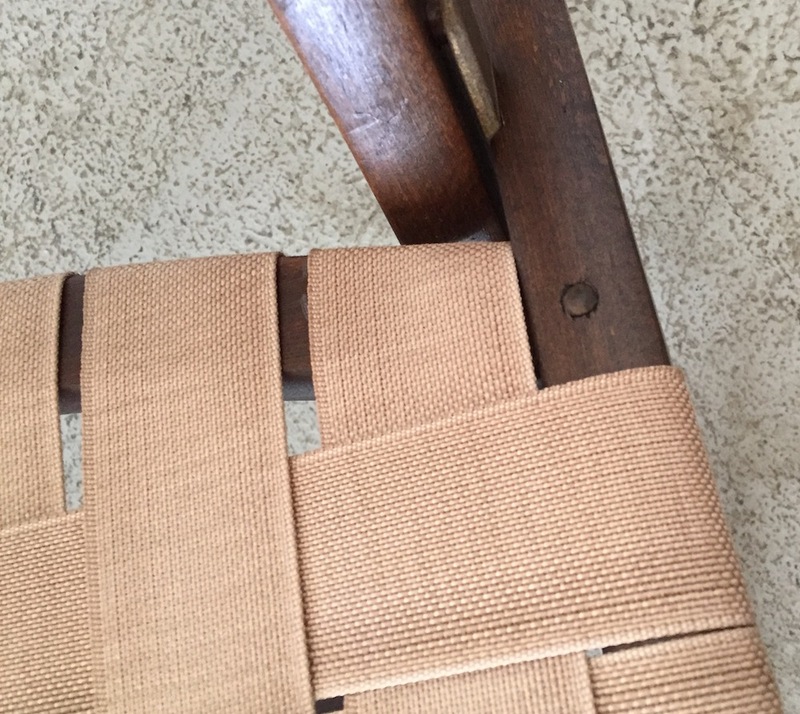 The seats were shot and the original lacquer finish was badly chipped and scuffed. The legs on some of them were discolored from standing in water. They had to be refinished completely. 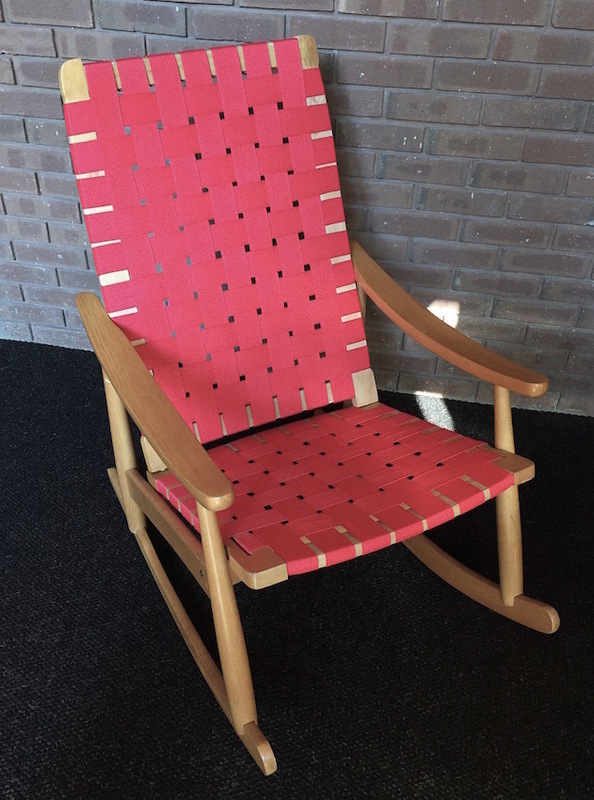 I’ve researched the design at various times and have never found any information on the manufacturer or designer, if there even was an individual who came up with the design. 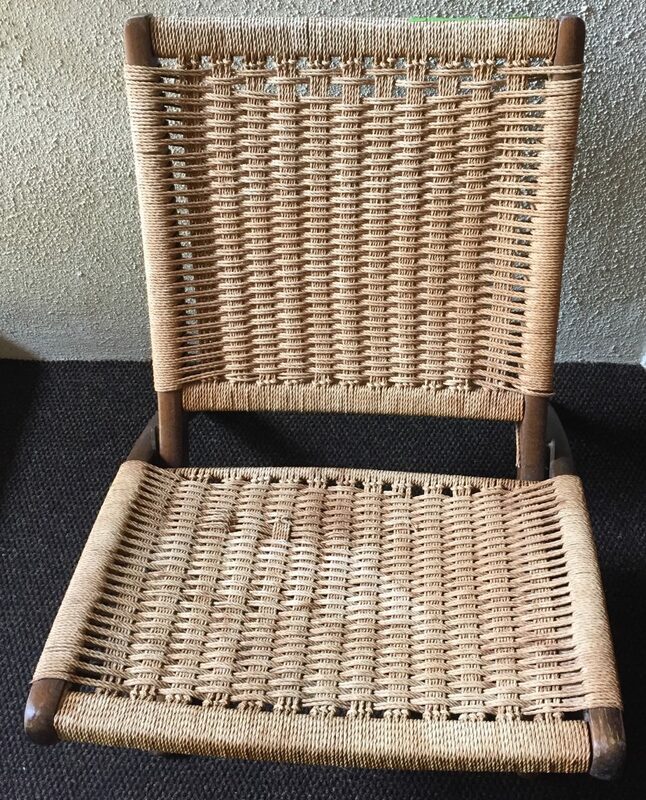 It seems to be a somewhat rare chair. I’m guessing it dates to the 50s but I don’t know for sure. 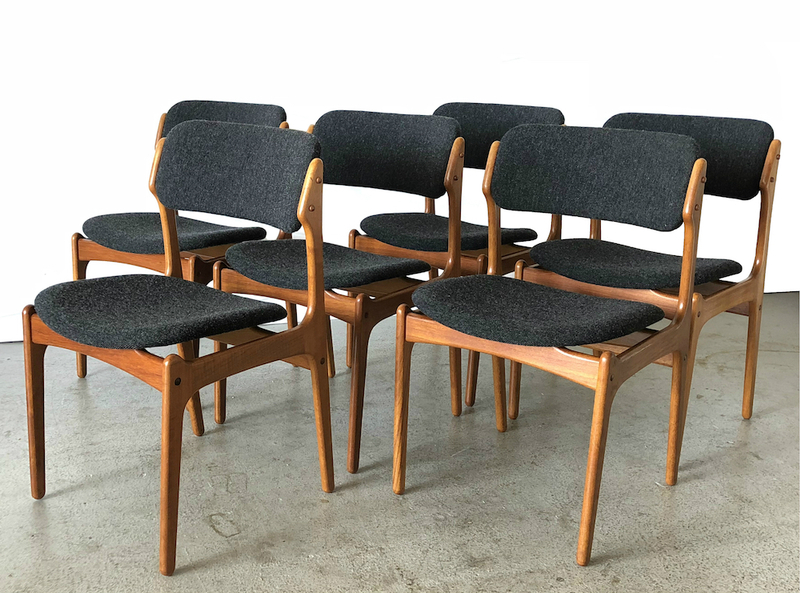 The frames are solid beech; the backrests are teak-veneered plywood. Very Scandinavian! 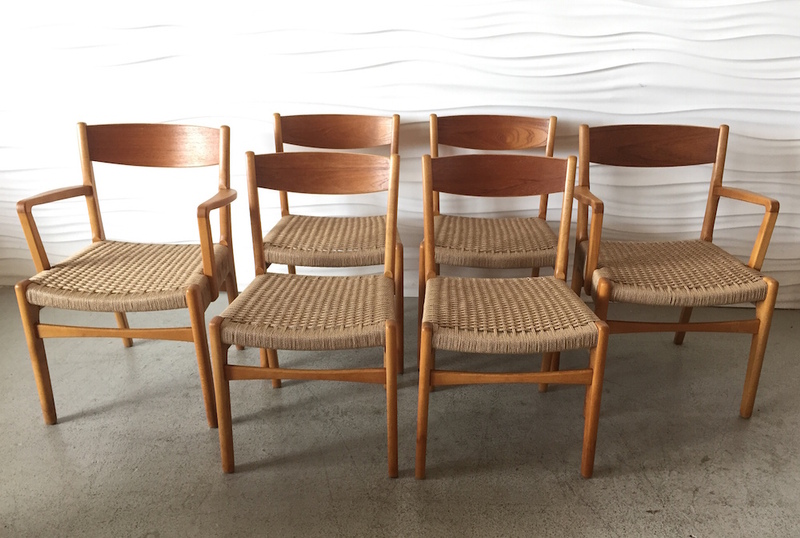 There are two armchairs and four side chairs. Thank you to Home Anthology for allowing me to take photos at their store. People have asked me about this one but I have never seen instructions on how to do it. I haven’t looked in awhile so maybe someone has published a how-to by now. It’s simple but kind of counter-intuitive at a couple of points. 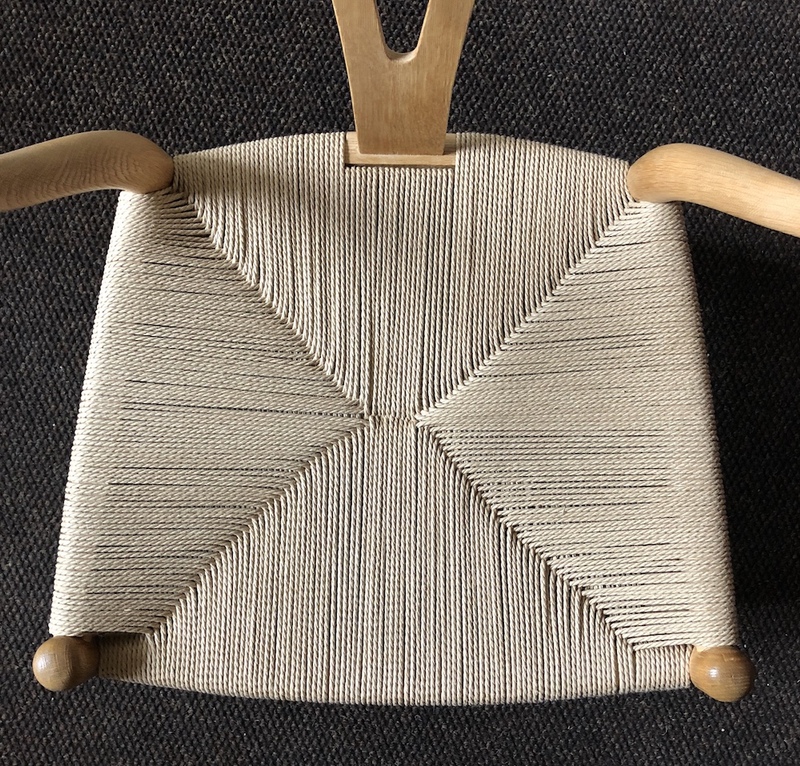 I learned by studying the original weave on a chair and just messing around with a piece of cord trying to copy it—and even then it took me at least half an hour! 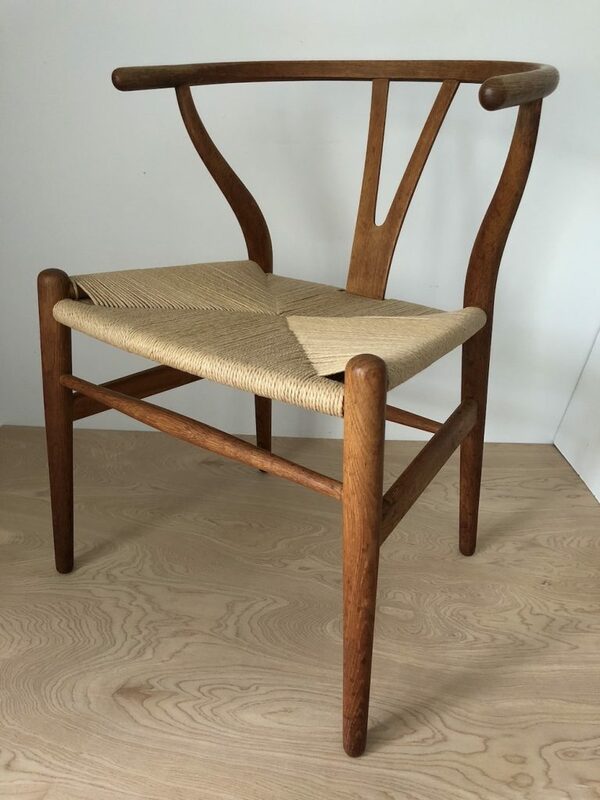 This is my original drawing and it is copyrighted; you are welcome to link to it or include the diagram on your site as long as you credit Modern Chair Restoration. Unauthorized sale of the diagram or its inclusion in materials for sale is absolutely forbidden. This is only for the part of the weave that is different from other patterns. 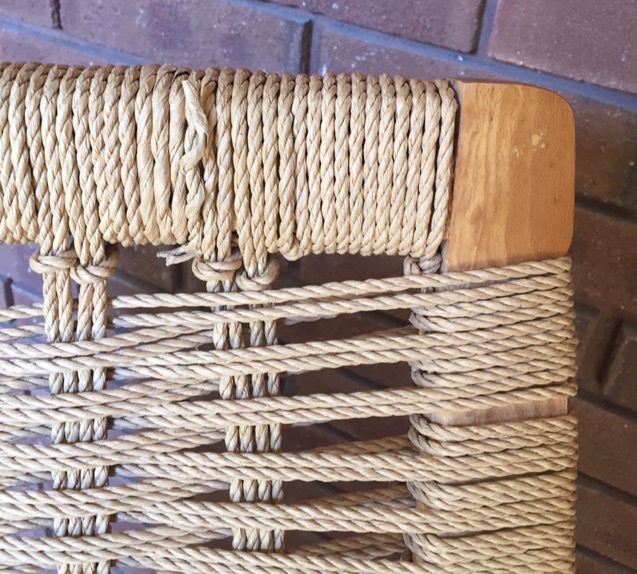 The information here is not intended to be instruction on how to weave the entire chair. 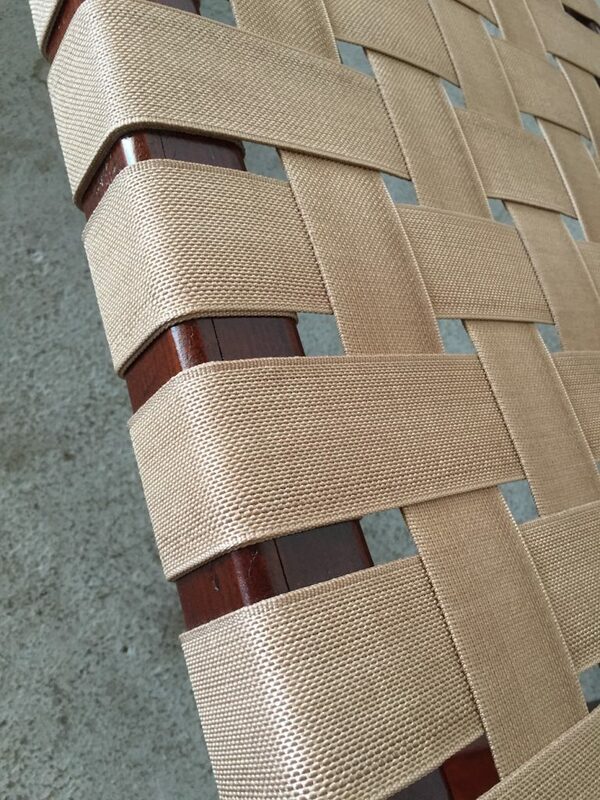 The weft (side-to-side strands) are woven like other chairs where you have to wrap completely around the side rails. Obviously this is a slightly exploded view. In reality you will need to pack the cord as tightly together as possible on the rails as you work, once you’ve finished each step and have gotten all the slack out. NOTE: One of the rails is always wrapped as you make the warp strands. That’s how you get the cord from one pair of warp strands to the next. 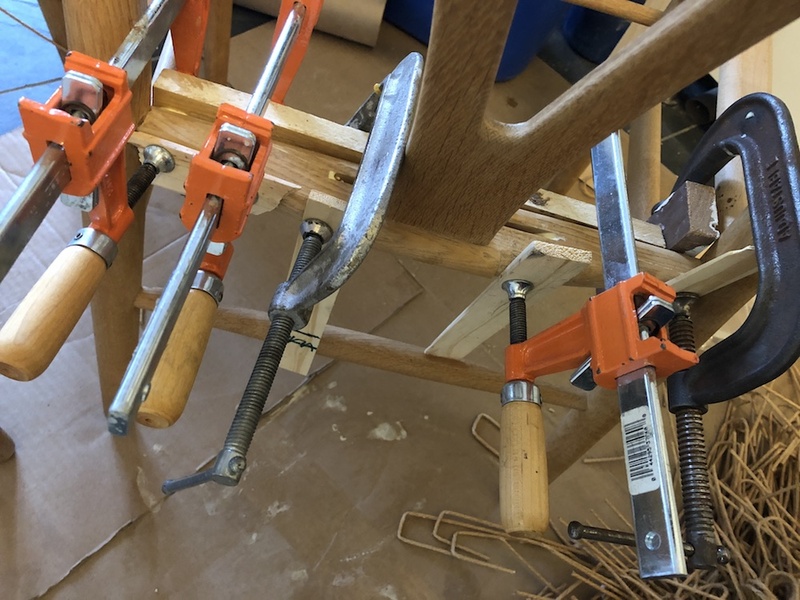 The second rail is wrapped separately and if there is only a small gap between the back and seat of your chair, this is much easier to do when the first rail that you wrap is at the top of the back (or front of the seat)! 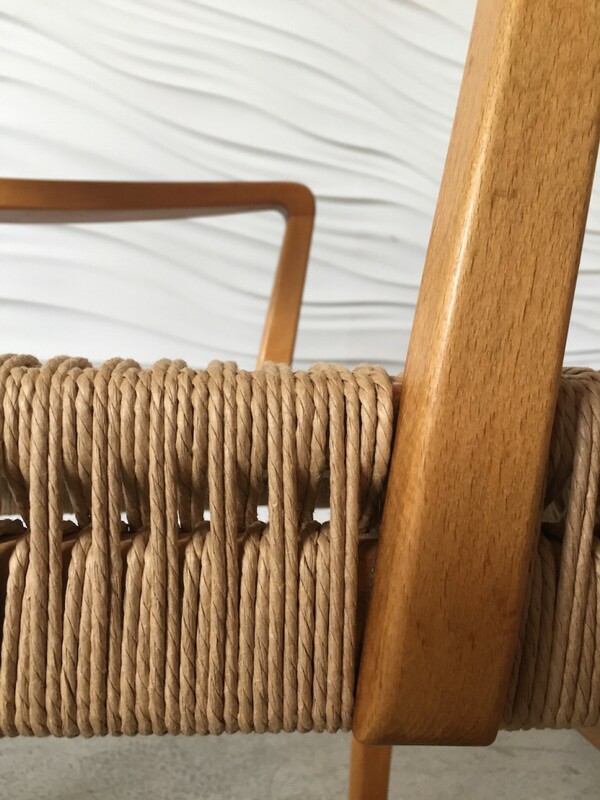 You must first figure out how much cord you need for the entire warp (the vertical strands on the chair back; front-to-back strands on seats). Do this with a scrap piece that is a few yards long and figure out how many warp strands you need, using the original weave as a guide, or find a good photo online and count the pairs. Then figure out how many wraps are needed on the rail and calculate that total length of cord. Add the two together. 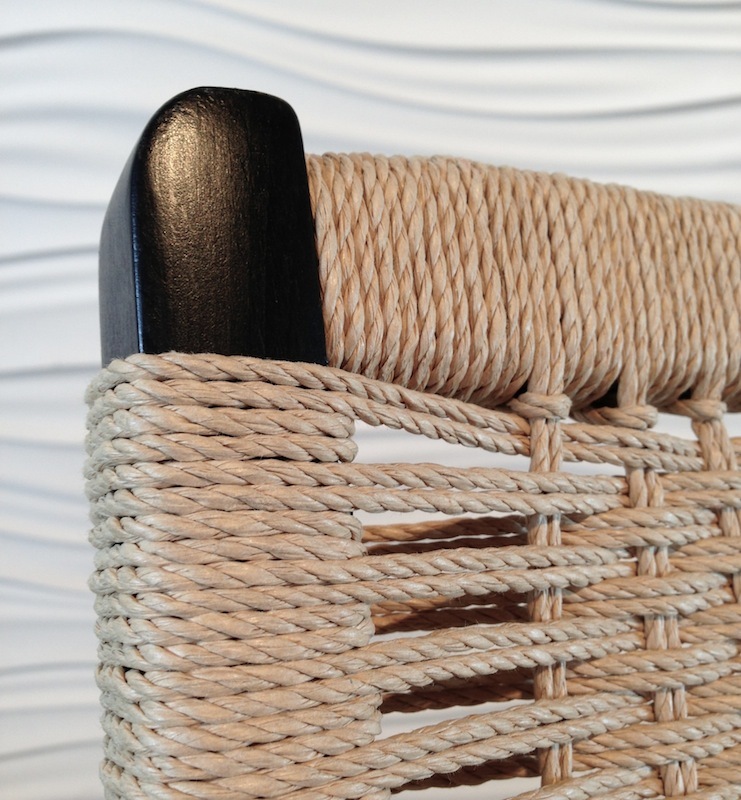 Because this weave is common on so many different styles of chairs, I’m not going to include lists of measurements. You’ll have to do the math yourself. MARK where the pairs of warp strands are on both rails. There should be an odd number on each and numbers must match on top and bottom rails. Make a single line on the top of each rail and then simply make sure that each cord in the pair is positioned on either side of the mark. 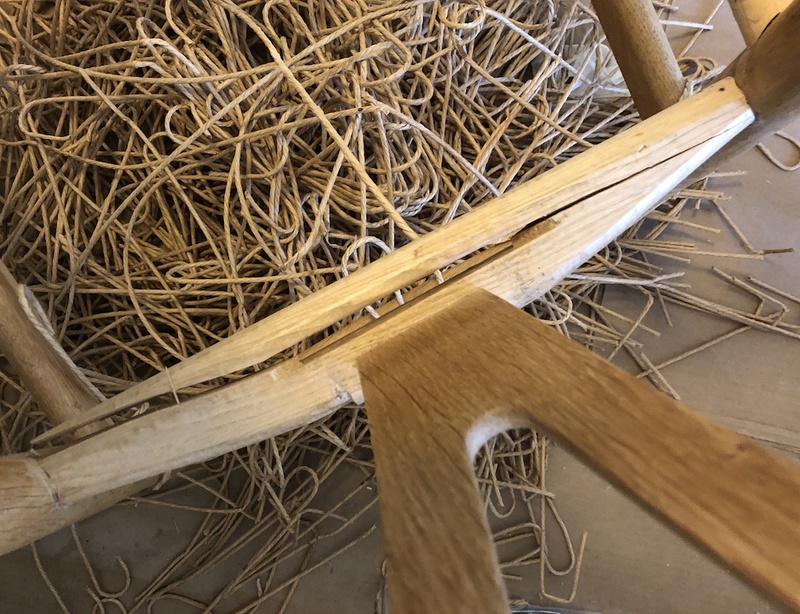 This is a LOT of cord and it’s usually not possible to use a shuttle on Yugoslavian chairs, so you must be able to keep the cord neat and contained, otherwise you end up with tangles that are frustrating and time-consuming to undo. I find that a hank is the best way (more info below). If the gap between the back and seat is big enough to pass a full shuttle through, then by all means use a shuttle! 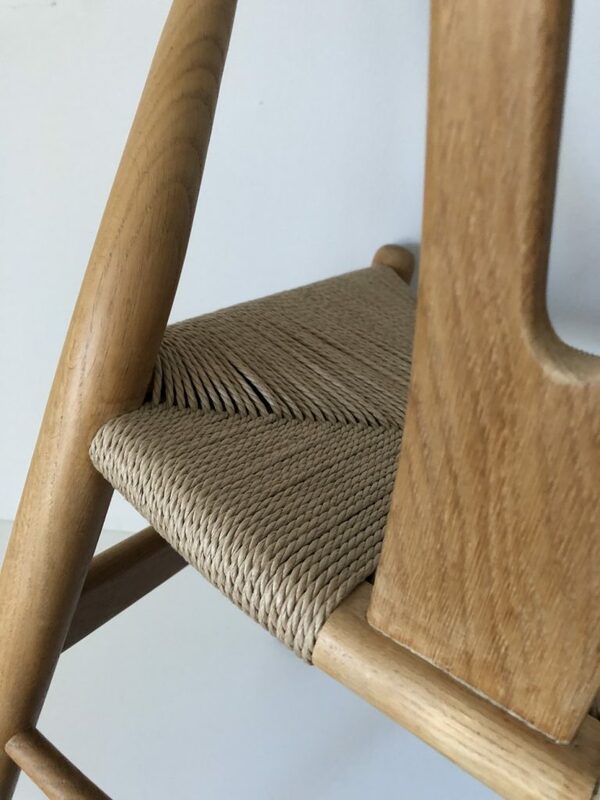 Yes, this needs to be all one length of cord, at least for the back of a chair where it’s hard to hide tacked joints neatly and impossible to hide knots at all. 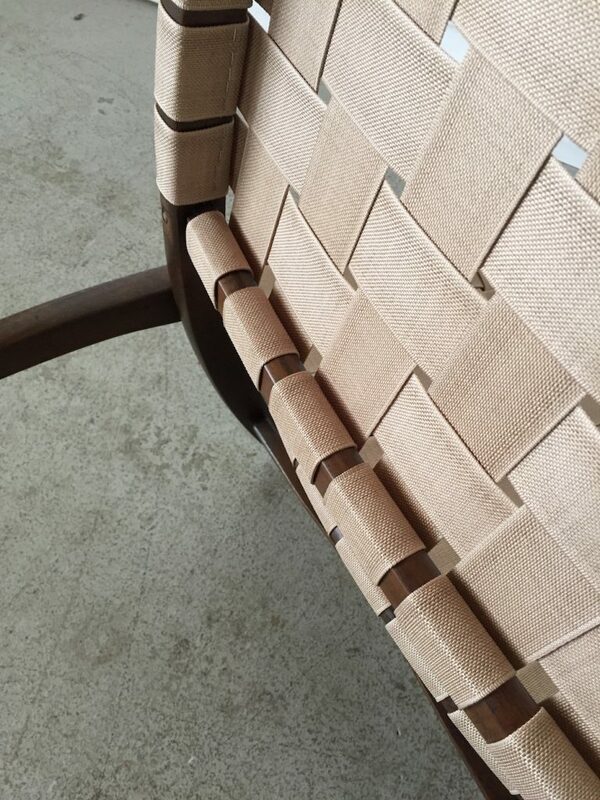 With seats it is possible to hide a joint, though I prefer to do it all with one strand. Work from left to right as shown in the diagram. It’s possible to work from right to left but you have to tighten and then loosen the loops, or something awkward like that. I did it once and vowed never again. Do each pair of warp strands as shown above, leaving lots of slack because you will need to fit the entire bunch of cord through two different loops. When all those steps are done, start tightening from the left and work towards the right. Use a spring clamp to hold the cord taut if necessary, then wrap around the rail until you get to the mark for the next pair of warp strands. You can contain your gigantic length of cord in one of two ways, either in big loops or a coil, but both must be bunched together in the center and secured with something. Covered elastic is best (get some covered hair elastics at the grocery store) but a rubber band will do. Non-elastic ties have to be readjusted too often for my taste and they tend to loosen when you don’t feel like stopping to tighten them again. The coil will not work if you just tie it around the side. That would have to be untied and retied every every time you need to pull more cord out—which will be often. 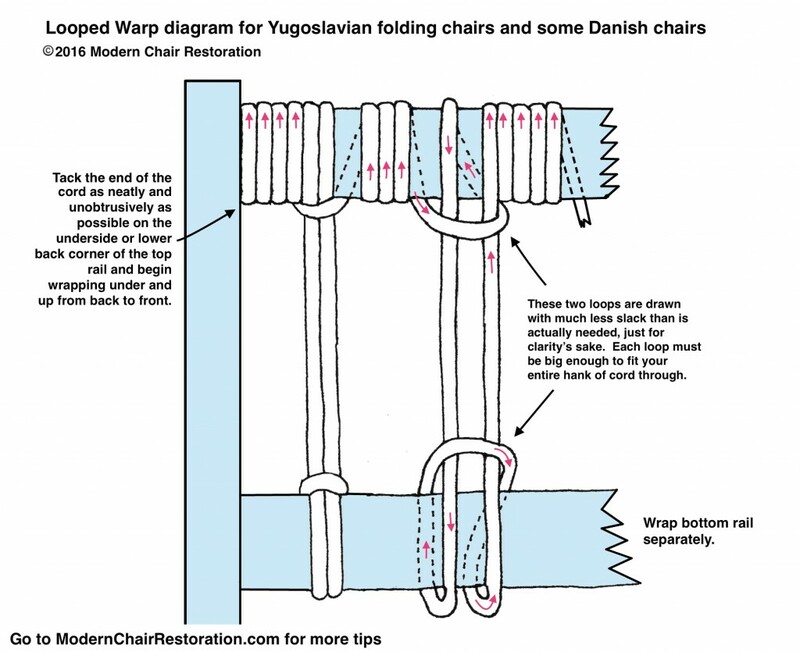 Many Yugoslavian chairs and others are woven with two or three pairs of warp strands in a row. I like to do single pairs because the loops look more tidy that way. If you want that look, space them more closely on the rails (like four wraps between each pair, as in the photo at top), otherwise you end up with not many warp strands and that may make for a weaker seat. I don’t think strength is an issue for the back.